Martha Yasuda’s arrangements, transcriptions and compositions are a natural extension of her life in music, as an orchestral violinist and Suzuki-trained teacher, with a Bachelor of Music degree from the Eastman School of Music in Rochester, NY. “Mrs. Yasuda’s idea of relating double stops to duets is very cleverly done and is clearly a demonstration of Dr. Suzuki’s idea of making learning enjoyable for the student,” wrote Suzuki pioneer, William Starr. Her arrangements are “expertly written and carefully edited for the student, and they delight with originality and flair,” wrote William Preucil, Sr., Professor of Music (Emeritus) at The University of Iowa. “The seven-volume Yasuda violin and cello duo series includes well-crafted, carefully edited arrangements for all levels of players, from the novice to the advanced,” wrote Christopher Rex, Principal Cellist with the Atlanta Symphony Orchestra since 1979. 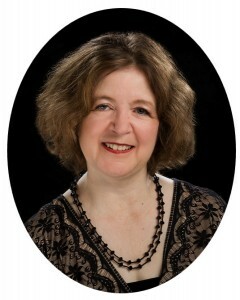 Martha (Lewis) Yasuda grew up in Lynchburg, VA and studied violin with Suzuki teacher-trainer, Rudy Hazucha. She studied violin with Zvi Zeitlin and Charlie Castleman at the Eastman School, and with William Starr at the University of Tennessee in Knoxville, TN. She has freelanced with many different orchestras, including the Rochester Philharmonic, the Savannah Symphony, and the Greenville Symphony, and she always has maintained a teaching studio. In recent years, her arranging has taken front seat, as she continues to create materials that aim to inspire students, teachers and young audience members. Mrs. Yasuda lives in Atlanta with her husband, Ken, and grown children, Kenny and Hannah. She feels fortunate to be able to express herself through arranging music and gives all glory to God for the creativity she has been given.